Just imagine slipping this beautiful wedding band on the finger of your future spouse…a total of nineteen excellent round-cut diamonds in a pave setting sparkle gorgeously on a 14K or 18K white gold band. Proudly made in the USA, this Rocker (European) Diamond Wedding Ring in White Gold has a timeless and understated look that complements just about any attire or occasion. 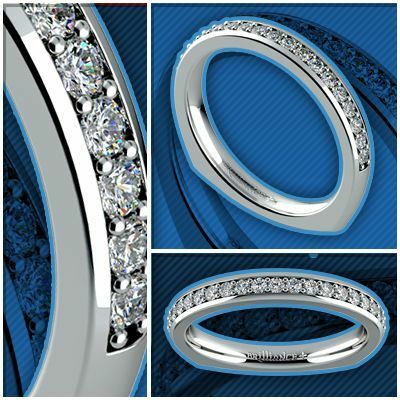 Tie the knot with this classic wedding ring from Brilliance!